KEN YUSZKUS/Staff photo. 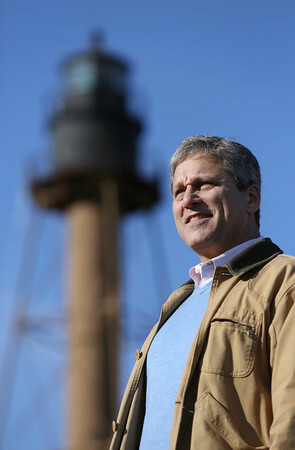 Eric Jay Dolin has written a new book, "Brilliant Beacons," on the history of lighthouses in the United States. Marblehead Light at Chandler Hovey Park is behind him. 01/12/16.